It is very important to choose an accommodation wisely. Otherwise, it can end up ruining your holiday or business trip. This is why you should never think about finding a hotel after you get to your destination. You can avoid high prices, poor facilities and unreliable customer service if you plan your staying ahead. Our warm recommendation would be for you to read travel forums, blogs and do a little research on the official websites. Book in advance and get rid of a possible stress source. 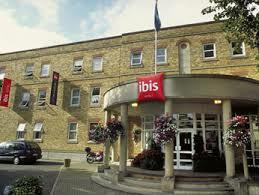 An example of popular and beloved accommodation is Hotel Ibis London Greenwich. Its quotes are accessible for any type of budget and the location helps you arrive in any wanted district in London. There are more than 100 rooms to choose from, each with useful facilities, including Wi-Fi and 100% non-smoking areas. You can reach the touristic objectives situated in Central London in less than 15 minutes, with any public or private means of transport. In order to get a Heathrow to Hotel Ibis London Greenwich Transfer by rail there are several options. First of all, you can take a train from Heathrow Terminal 1 (every 15 minutes), followed by a Tube from Lancaster Gate Underground (every 5 minutes) via London Cannon Street (every 15 minutes). This journey lasts about 54 minutes. Another option is a Tube from Heathrow Terminals 1-2-3 (every 5 minutes), followed by a bus from Holborn (every 20 minutes) and a 4 minute walk. This trip lasts about 1 hour and 33 minutes. The last option regards a bus from Heathrow Central Bus Station (every 60 minutes) via Soho, Aldwych Somerset House (every 20 minutes). This whole journey takes around 1 hour and 55 minutes of your time. A Heathrow to Hotel Ibis London Greenwich Transfer by car can be done by taking the M4 motorway. Heathrow Airport is at a 23.6 miles distance from Hotel Ibis London Greenwich. This journey will take about 58 minutes, without including traffic. A Heathrow to Hotel Ibis London Greenwich Transfer with 247 Heathrow Airport Transfer is going to take about 1 hour and 19 minutes, including rush hour traffic. The price for a Heathrow to Hotel Ibis London Greenwich starts from 52 GBP.